Part One of our interview with Mentor chairman and CEO Wally Rhines looked at the mechanics of the company’s acquisition by Siemens. You can read that here. In Part Two, Rhines discusses more detail of the deal, particularly regarding R&D and EDA as part of a Siemens flow. He also addresses Mentor’s launch of the DRS360 automotive platform and the emerging challenge of design-for-security. There is always concern about monolithic design flows. Customers shy from putting all their eggs in one basket. Can a single-company flow ever offer the leading solution at every stage? With Mentor’s acquisition by Siemens, there is the prospect of one company now delivering essentially all the components needed for product delivery from initial concept to the factory gate. For Wally Rhines though, that simply is not likely to happen. “If you want front-to-back, we can do that. It won’t all be best-in-class though as long as you’re not pushing the technology, it will work pretty well,” says Rhines. Rhines says that Siemens shares this philosophy of selling into “open environments”, supplying the connections to other companies’ software where necessary. 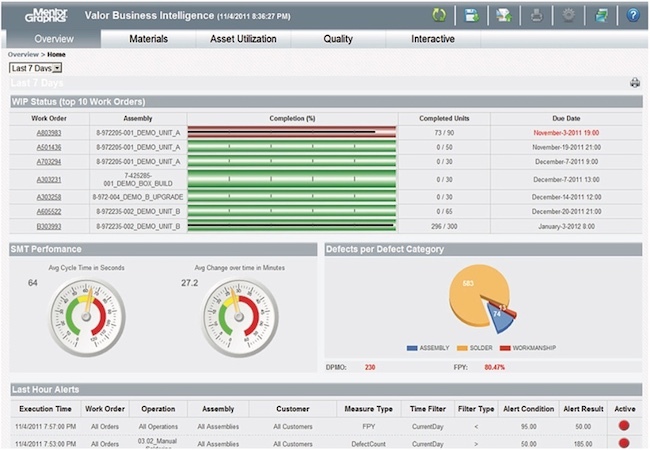 “You want just Teamcenter or NX within your PLM flow. Fine. That’s OK. Things will continue to be like that,” says Rhines. That does not rule out software integration and collaboration on R&D across Siemens group companies. As Rhines noted in Part One, some areas of EDA research are specific in their needs so Mentor will chart its own path, but there are areas with more common ground to exploit. One is the combination of machine learning and AI. “This is an area where you can see there’s going to be a lot of leverage early on. While Siemens has already gone deep into the area, we also bring something to contribute,” says Rhines. He cites the specific example of Valor, the Mentor subsidiary focused on manufacturing automation for PCBs. “We’re among the leading suppliers in that space – we’re working with Foxconn, we’re working with Flextronics – and we have a surprisingly deep infrastructure. We’ve 25 people [in Valor] of which 14 are PhDs working on algorithms for components sequencing on tape-and-reel to optimize the arm travel of the pick-and-place machines. We have gateways at the factory floor transmitting data into the cloud and doing deep learning and optimization on the product flow. We have traceability of every IC in every board for failure analysis, for checks against counterfeits, and more,” says Rhines. Mentor is also flexing its muscles in machine learning in the automotive market. It has launched the DRS360 sensor platform for Level 5, fully autonomous vehicles. 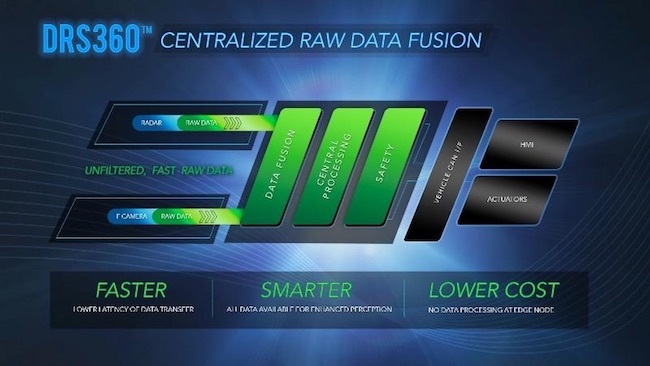 This uses AI to enable centralized processing of raw data from various sensors to provide real-time responses to safety-critical situations, while reducing power consumption and latency. No more MCUs alongside each sensor for a start. The launch caught some observers cold. But as Rhines explains, it also came from expertise already within Mentor, particularly from the 2014 acquisition of XS Embedded (XSe), an automotive embedded software company initially working on infotainment systems. “XSe were very successful and very good at what they did – they came out of Harman [International]. So, we started doing a lot of ADAS [advanced driver-assistance systems] as well. They allowed us to look back at infotainment and see where some problems with ADAS might lie as well,” Rhines says. “Infotainment had quickly threatened to become a kludge. You had GPS from here, backscreen TV from there, surround-sound from somewhere else. It was piecemeal, and as we kept adding things, you could see that at a certain point it would become unsustainable to support the software with all these different pieces from different places. That team saw ADAS headed in the same kludgy direction. A few commentators argued that the launch could bring Mentor into competition with some of its EDA customers. Wally Rhines is phlegmatic. Take, for example, Mentor’s relationship with NXP, the leading automotive silicon supplier. “I talk to [NXP president and CEO] Rick Clemmer every other week. He’s my old controller from TI. And [NXP board director] Peter Bonfield is also on our board. So there’s that,” says Rhines. When we talked, Wally Rhines was about to deliver a lecture at New York University on design-for-security. As that and his DVCon China keynote show, he sees the topic as one that is reshaping the design cycle, and not just for silicon. One element he sees becoming more prominent is the threat posed by embedded Trojans and how companies address their potential presence in silicon. It is an extension of a frequent Rhines observation: Verification is moving from simply verifying that a chip does what it is supposed to do to also verifying that it does not do anything it is not supposed to do. 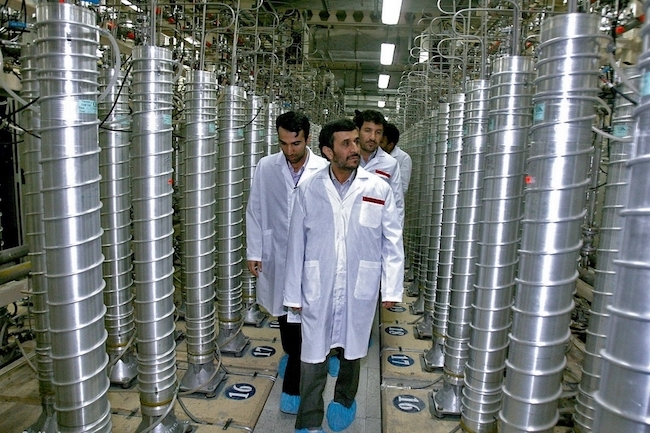 For this particular threat – the best known example being the Stuxnet virus used against Iranian nuclear centrifuges – his immediate concern is that industry is not discussing the problem. “I’ve gone to meetings and heard that [embedded Trojans] don’t seem to be a problem. If they are around, our customers who buy design tools don’t seem particularly troubled about it. But then if I tell this to guys at the NSA, they roll their eyes like I came out of La-La-Land,” says Rhines. The problem as it stands takes on two initial forms. The first is cost. The second is indemnification. There are things you can do, Rhines notes. DARPA, the US defense research agency, is looking to promote one scheme – “But again, it’s a few cents off your margin.” – and once you know what a virus looks like you can scan for it (but then there will always be new ones). Wally Rhines has been his own boss for 23 years, notwithstanding that he has always had a boardroom to answer to and the occasional attentions of a Carl Icahn. He is still a big wheel but now one within a huge conglomerate. How is he finding the change? “It’s different. Yes, it’s rigorous. But in many ways, it doesn’t change. On the system design side, we’re all on the same page. We’ve been there for years,” he says. “But you do have to adapt.